All Images Tim Wilkes www.timwilkes.com Full gallery at CSN FB | Great first Continental event to define who is the best sailor of the Americas (North & South). 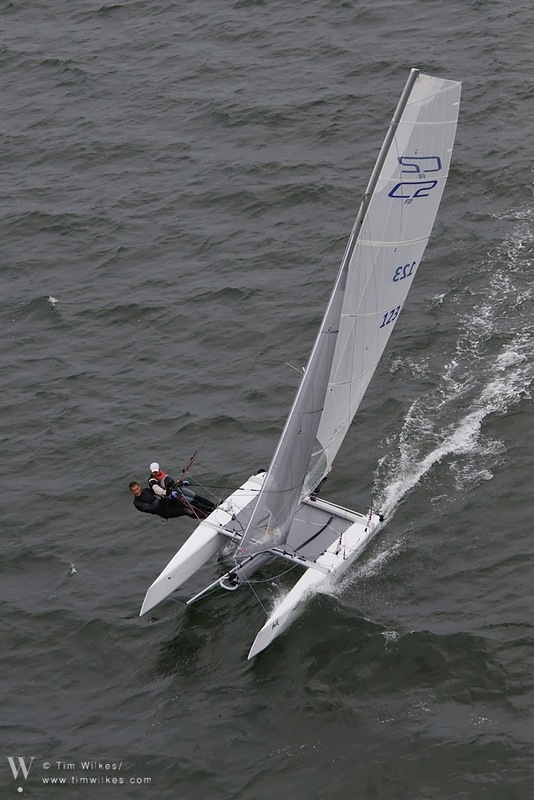 US top crew, Mike Easton & Trip Burd managed to grab the title over Gunnar Larsen & Ferdinand van West and US top youth Taylor Reiss & Matthew Whitehead. 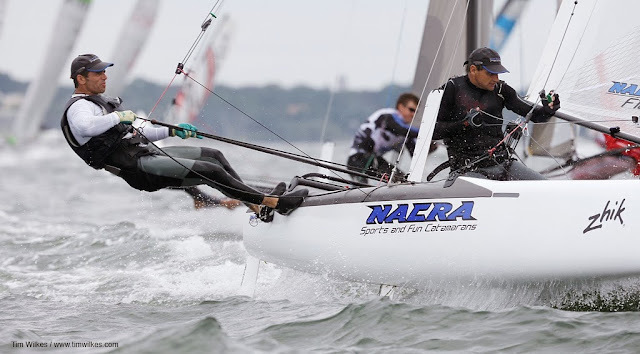 Good work on Gunnar attending events all over the World, being a top sailor and CEO of Nacra it is a nice double function made by a brand company man. But the experienced dutch sailors couldn´t take the American crown home this time. 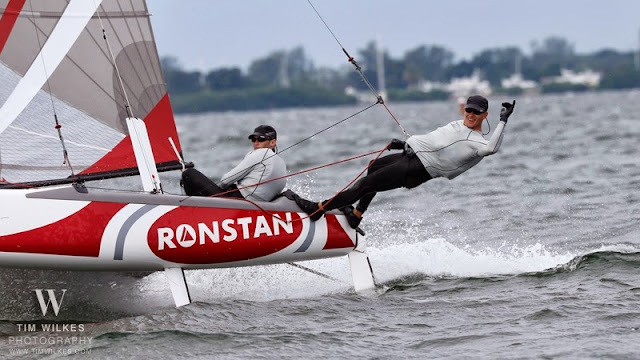 Mike & Tripp racing onboard the Ronstan F18 Flagship put their speed on the table and responded the pressure for the Europeans to close a perfect American end. 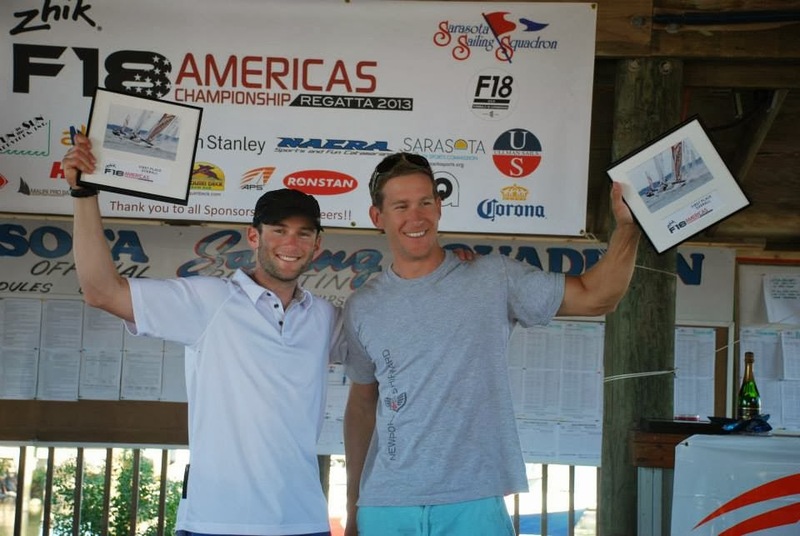 Excellent work done by the US F18 Assoc and the Sarasota Sailing Squadron putting this event together with a total of 17 races! The major Regatta for the Formula 18 in this side of the World. The Continental label had more sense after two of our best Argentine crews were able to attend and as plus perform at the highest level. Cruz Gonzalez Smith & Mariano Heuser ended 5th overall, and Juan Faustín & Nico Aragonés 11th (two OCS in one day reduced their chances). Cruz & Mariano establishing themselves again as one of the best 20 crews in the F18 World Wide. The other key aspect as reported over the week was the level of the US Youth. It is great to have the new generation already fighting for the title in major events.